Mine worker, MP (1957-1958), MP (1958-1962), MP (1962-1963), MP (1963-1965), MP (1966-1968), MP (1968-1972). 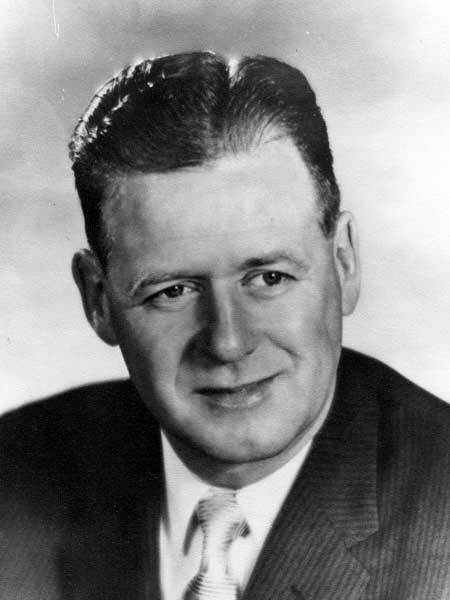 Born at Cannington Manor, Saskatchewan on 18 August 1910, son of Gerald John Simpson and Annie Bannatyne, he attended school at Neepawa and Winnipeg, and worked as a bookkeeper in Winnipeg brokerage firms from 1928 and 1934 and as a gold mine mill operator from 1934 to 1935. He became Assistant Steward of the Hudson Bay Mining and Smelting Company in Flin Flon in 1935. On 31 December 1932, he married Kathryne Lear (?-1976) and they had three children. He was elected to the House of Commons for Churchill in 1957 and was re-elected in 1958, 1962, 1963, 1965, and 1968. He died at Kelowna, British Columbia on 11 November 1990. He was inducted posthumously into the Manitoba Hockey Hall of Fame as a result of his play with the Flin Flon Bombers from 1935 to 1947. Obituary, Winnipeg Free Press, 13 November 1990, page 42. “Hall of Fame opens its doors to more legends,” Winnipeg Free Press, 21 June 1997, page 62.